FCIM, FSLIM, FAIM, CMA, ICMA, CIM,MBA (Aus). 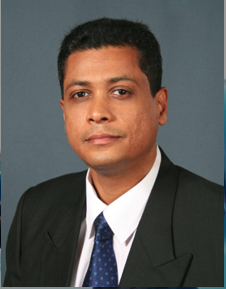 CEO/Director of large conglomerates in PNG, Vanuatu & Solomon Island for over 8 years. Managed dealerships in Pacific for Nissan, Isuzu, Mazda, Hyndai, TCM,etc..
Was instrumental in securing the dealership for Mazda & Hynadai. Was appointed as the Hon. Consulate for Sri Lanka in Vanuatu in 2014 and currently is been installed as the Canceller General for Vanuatu in Sri Lanka. Was instrumental to initiate the bilateral relations between Sri Lanka and the Solomon Islands in 2012 ,which gave birth to a consulate in Solomon Islands. 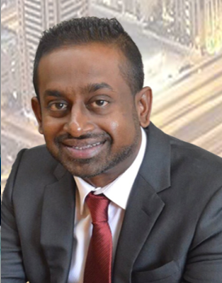 Previously in the pacific region and in Sri Lanka was the CEO , Director for Reckitt Benkiser ,CJ Patel , Carpenters Group , Phoenix Industries and other leading companies counting over 25 years of management experience in business. Currently an entrepreneur and also a board director of reputed companies such as McLarens Holdings Ltd, McShaw Automotive Limited, to mention a few. Build a sound personal relationships with the respective and prominent political & business leaders in the pacific region in addition to Sri Lanka. Founder President of ADC Line Japan Corporation since 2006 till date. A fully fledged freight forwarding operation in Japan with representation at all major ports. Specialist in automobile transportation executing a total export volume of 1200 FEU’s per month from Japan to all over the World. Own car pools that can hold 7,000 units of motor vehicles at any given time. Sea freight, air freight, import & export services to & from Japan. Regular ship chartering services from Japan to South America. Own NVOCC operation within Asia & Gulf. A staff force of 37 personnel to support the services in all related business activities. 2 MW solar power plant operation in the state of Chiba. Used car sales & exports from Japan to South America, Australia and East Africa. Over 15 years experience of own Business operation & management. Over 20 years of experience in the field of Shipping & Logistics.